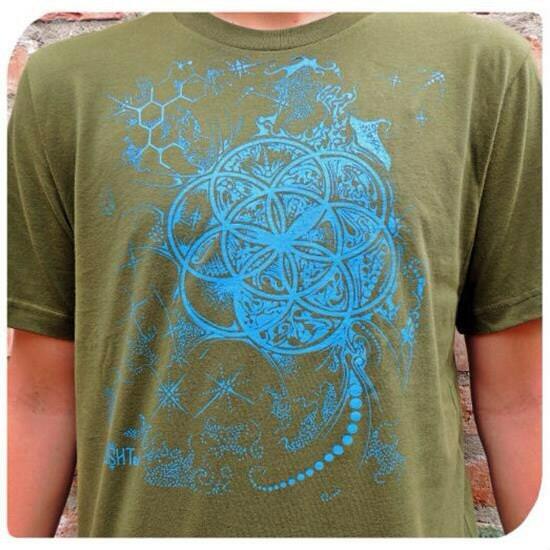 Molecule Flower Seed Of Life Tee Shirt. Sacred Geometry Clothing. Men's Organic Cotton Tee. 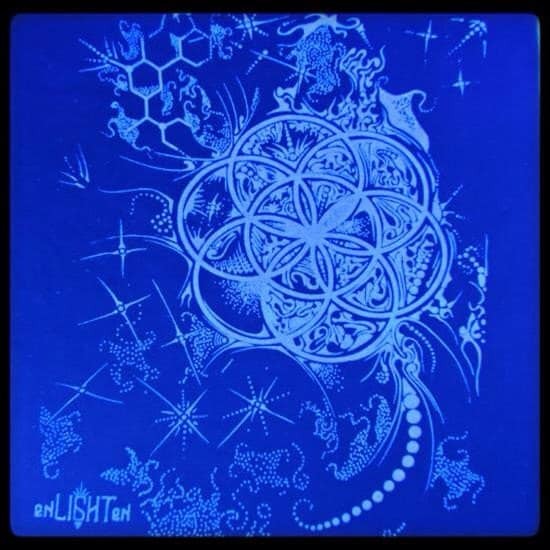 Blue fluorescent ink silk screened in house. Design hand drawn by Tyler Epe.